acquiring property and assets. However, when things happen and one or both parties initiate the dissolution of the marriage, there are many things that need to be divided between the two of them. The distribution of property can be the focus of a very protracted fight between spouses going through a divorce, so it is crucial to be armed with knowledge and retain experienced legal counsel. A review of any other factors that may be necessary in order to achieve justice and equity for each of the parties. (See Florida Statutes, Title VI-Civil Practice and Procedure, Chapter 61). When a court is seeking to ensure equity between the parties, the judge also will consider child support payments, the Parenting Plan and time-sharing agreement between parents, any alimony that will be awarded, and a party’s responsibility for the acquisition of debt and other liabilities during the marriage. A separate agreement that is a valid written document that defines specific assets and debts as non-marital. An example of this is a prenuptial or premarital agreement. The income generated by non-marital property. Items that were purchased with or exchanged fornon-maritalproperty. A spouse who receives an inheritance and purchases a 1967 Stingray Corvette with those inherited funds may be able to keep the car out of the assets to be divided between the spouses. The designation of non-marital or separate property can be complicated when there has been a co-mingling of assets during the marriage, which makes it impossible for the court to make a clear determination of marital versus non-marital. At that point, the court simply may rule that the combined property has become a marital asset. Although a court may consider whether one spouse committed adultery when making a determination about alimony, the same thing is not true when looking at the equitable distribution of property. The only time this might factor into the court’s calculations is when the adultery has resulted in a depletion of marital assets. The underlying premise in the distribution of property is to be equitable; however, this does not always mean equal. When a Petition for Dissolution of Marriage is filed with the court, it includes a general demand for the equitable distribution of property pursuant to Florida Statute 61.075. After making the general request, a party may plead specifically for an unequal distribution of assets based on certain factors. These justifications for inequity must be proven by production of evidence during the discovery process. Since the judge does have some discretion and the ability to subjectively evaluate the evidence presented, there are times when the distribution of property does surprise the parties. When a marriage ends, there are many different emotions experienced by the parties to the divorce. It is difficult to look past these hurt feelings and devastation over the destruction of a relationship that was supposed to last until death. However, staying focused on the distribution of the marital assets and drawing upon clear and impartial evidence to exclude non-marital property and make an argument for unequal division based on relevant factors will enable a spouse to walk away in the best position possible. Florida law involves many different analyses and calculations. 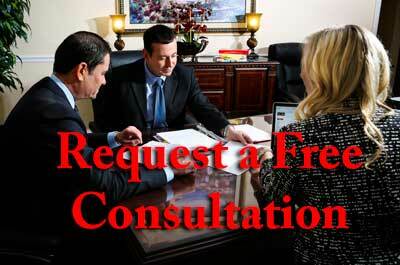 In order to navigate the process, it is critical to retain experienced divorce attorneys. The knowledgeable attorneys at Ayo and Iken understand how the law works and will work with you to start your new life with a strong financial foundation. Zealously representing the interests of our clients in Miami, Orlando, Tampa, Clearwater, Lakeland, Wesley, Chapel, and New Port Richey, Florida, the skilled divorce attorneys at Ayo and Iken are committed to getting a fair resolution for our clients. This is a very difficult time; we invite you to come to our office for a free consultation, where you can unburden yourself and we can present your legal options. To schedule an appointment, please call us at 800-469-3486. Whether you are attacking, defending, or creating a prenuptial agreement, we can help. Jennifer worked on my divorce and helped mediate a mutually agreeable settlement. She was patient, focused, and well informed on Florida law relative to my case. As difficult as this all was, it was managed well. My experience with Alberto Ayo was very pleasant and professional. I currently live in Georgia and I was looking for someone to represent me in Tampa, FL for a case that was filed against me. Mr. Ayo was hired based on a recommendation that was given to by an attorney in Georgia. He was extremely knowledgeable and very aware of how to defend my case. When going to court he had all the facts lined out and was completely prepared to defend me. My trail was short and sweet leaving me incident and all charges dropped. It was comforting that I had the legal representation that understood what was needed when it was needed and that I was cleared of all accusations against me. I would highly recommend Mr. Ayo and his team to anyone out there.